Digital marketing is a way of promoting your products or services using any electronic device. Internet marketing is part of digital marketing that uses internet to advertise your goods to the potential customers. Web marketing involves the use of a website to promote your goods. AltaOnix is a web-marketing agency that specialises in increasing sales of your products using your website. We offer services in the areas of search engine optimization, user experience, social media, paid search advertising and other areas. We have become one of the best SEO agencies in UK and we are constantly looking to increase our range of services to increase our strength as a marketing agency. 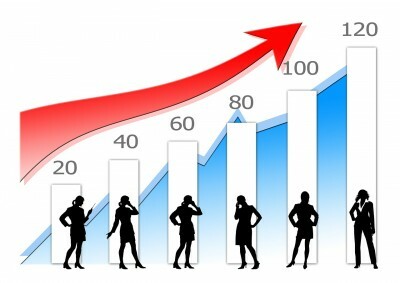 There are many methods for increasing the number of visitors to your website. The most popular are SEO (search engine optimisation), PPC (advertising through pay-per-click campaigns), and social media. As a marketing agency we offer all of these services to our clients. These options can work together to significantly increase your website traffic. Search engine optimisation is used to increase your website rankings in the most popular search engines like Google, Bing or Yahoo. The techniques used to increase rankings for keywords involve work both on and off site. The onsite work involves improving the content, structure and usability of the website. Offsite will include creating strong relevant back links and trust factors like Facebook, Twitter, Google+ or Youtube. The social platforms also work well by increasing your traffic through social media advertising. Social Media Advertising uses the most common social platforms to promote your products. While many visitors from social platforms will just look at your products, they will become aware of them and your brand, returning later to buy when they will require. Using social advertising is also a great way to get more sales using offers and promotions. Social media is a great way to increase brand awareness and to get people to know about your services and products. We can guide you through advertising on various social media platforms. Pay per click is most effective when used with large advertising networks like Google Adwords, Bing and Yahoo search and media advertising. These platforms advertise your products via placed ads in search engines and on websites using banners. The most popular choice is to use the Google search advertising. We can help you by setting up your Adwords campaigns, optimising them for your products, and increasing the enquiry rates by improving your website. AltaOnix uses the most effective and modern methods to promote the websites of our clients. Our research allows us to create strategies for businesses in any fields. A conversion ratio is the percentage of people that enquire in relation to visitors on your website. At AltaOnix we firmly believe that user experience is one of the most important aspects and driving forces of a website. If a user finds the website easy to navigate and find the information or the product they need they are more likely to enquire. Another important factor is how easy it is to enquire, signup or buy on your website. Creating a good user experience is crucial for customer retention and recommendations. Improving user experience is one of the most difficult marketing techniques. Doing it properly requires a large amount of research into both our client products and the visitor mind-set. We use many methods of improvement that we have discovered in extensive research into the analytics and the mentality of the visitors to the websites of our clients. Examples of some of the areas we look at are load speeds, accessibility, easiness to enquire or buy, and many more. Each client is unique and does require careful research and analysis to maximise the effects of optimising the user interface. This is best approached as an iterative process over a period of time to collect the statistics on the changes that are made. Getting on the first page of search engine results brings you many customers and saves money on advertising. Learn more about what we have to offer. Looking after your analytics to determine good strategies and to implement improvements to your website. AltaOnix rescues websites that have dropped too far down in the rankings or no longer perform as well as expected or required. We have experience rescuing websites that have had effects of Google algorithm updates. We have the required skills and knowledge to fix websites with design issues created by old changes. We are equally happy to be your first SEO agency and to take over from another SEO agency to further improve the performance of your website.